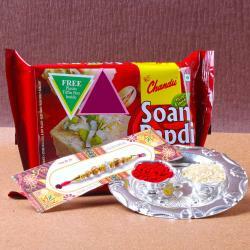 Product Consists: Golden Lace Traditional Thali, Diamond Rakhi, Roli Chawal, Kesar Peda (Weight: 200 gms) along with Silver Laxmi Ganesha Coin in Goodies Bag. 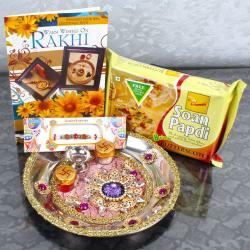 Rakhi for all brothers demands lots of sweetness, love, affection and warmth from sisters. Rakhi is full of beads with some diamond on thread. 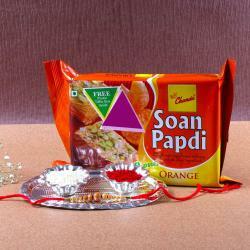 This pooja thali can be used as rangoli in your worship place or temple. This is a piece of artwork perfect as house warming gift, gift favors at any religious party, use it as a pooja thali. Enjoy this piece for years to come and create some beautiful memories with inspiring our younger generations to celebrate traditions with some elegance. 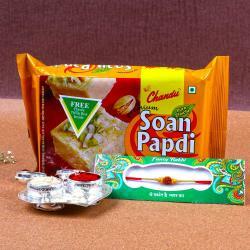 Completing the auspicious day with sweet like Kesar Peda. Gifting a Laxmi and Ganesha coin it will give wealth and prosperity to your brother. 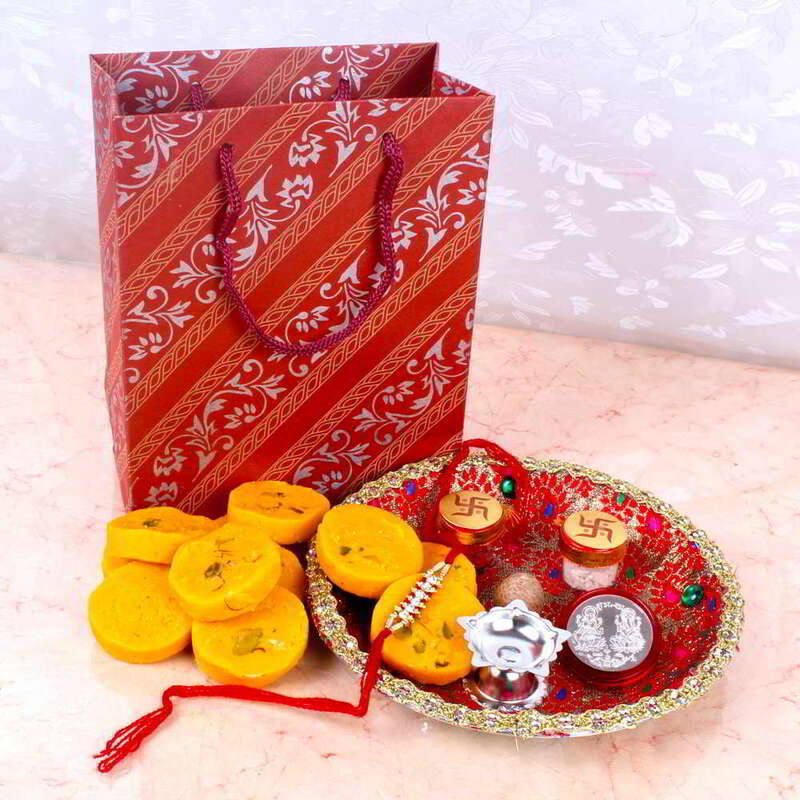 Goodies Bag Includes : Golden Lace Traditional Thali with Diamond Rakhi, Roli Chawal and Kesar Peda (Weight: 200 gms), along with Silver Laxmi Ganesha Coin.